And then I have my day job. 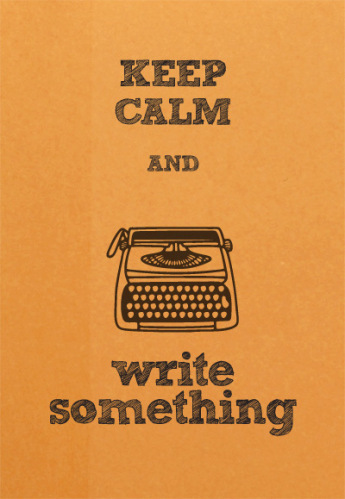 The writer’s life. The best life. 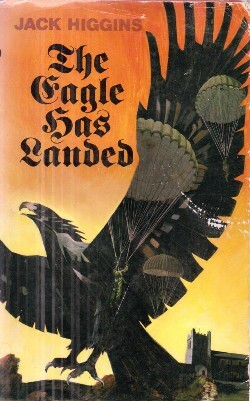 Following on from last week’s focus on some classic WW2 paperbacks, here’s a link to an article by J Kingston Pierce, editor of crime fiction blog The Rap Sheet, in which he explores the history of hand-painted crime and mystery book cover art. Could not resist ending on this version of The Guns of Navarone (see also #3). Great cover. 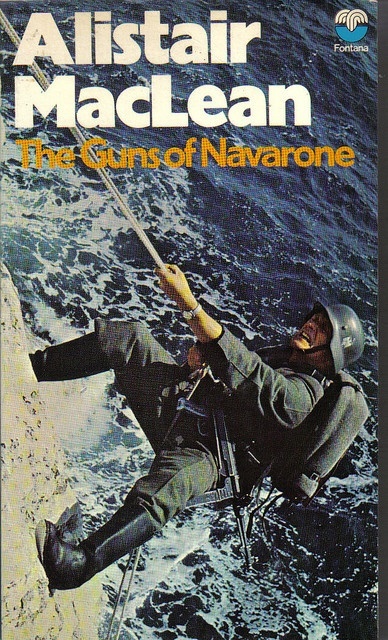 But in the book the raiders don’t climb the cliff on Navarone in German uniform, do they? And, when they do, there is a storm raging. This German soldier is making the climb in the blazing sunshine. I wonder if the photo is actually a genuine one from WW2? Read this one when it first came out in 1981. Classic Jack Higgins’ use of a half-truth from history to build a solid thriller. The book is based on the US government’s use of a Mafia hood, Charles ‘Lucky’ Luciano, during WW2. 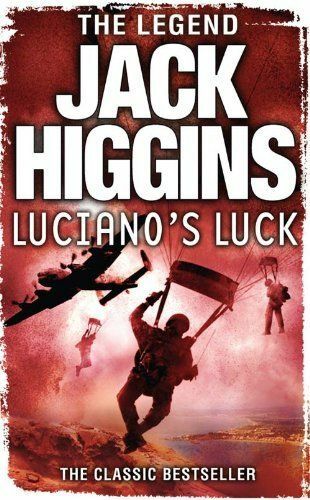 What Luciano did in real life is debated; Higgins turned it into a great book. A truly wonderful book which has thrilled since its first appearance in 1975. 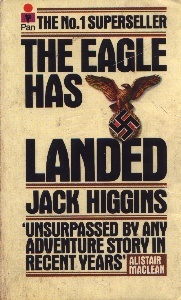 Although the author had been already writing for many years, The Eagle Has Landed established Jack Higgins as one of the great thriller writers of the modern day. His is a style I absolutely love. The film starring Michael Caine came out the following year. The above is the paperback version I first read in the early 1980s. 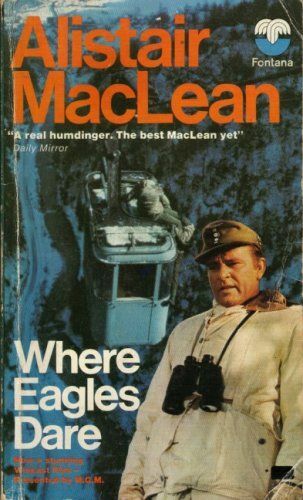 The novel version of Alistair MacLean’s Where Eagles Dare is not all that it seems. It’s a classic thriller made into an explosion-filled, action-packed film. In fact, the book started out as the film. Producer Elliott Kastner approached MacLean directly and asked him for an original script. 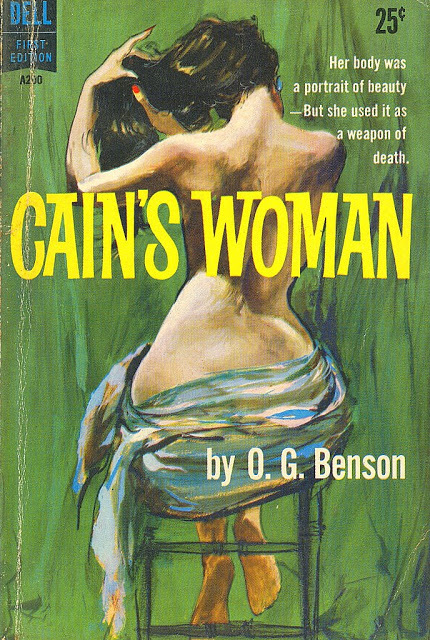 MacLean wrote the script and then the book to coincide with the movie’s release. Years later, Kastner remember the moment he first approached the author. And in the book and film that is exactly what we got!